The next generation of the 588 RTX wedge from Cleveland Golf offers dramatic increases in versatility, control, spin, feel, and most importantly, confidence. The 588 RTX 2.0 allows players to take control of the scoring zone inside of 125 yards and make the shost that matter most. 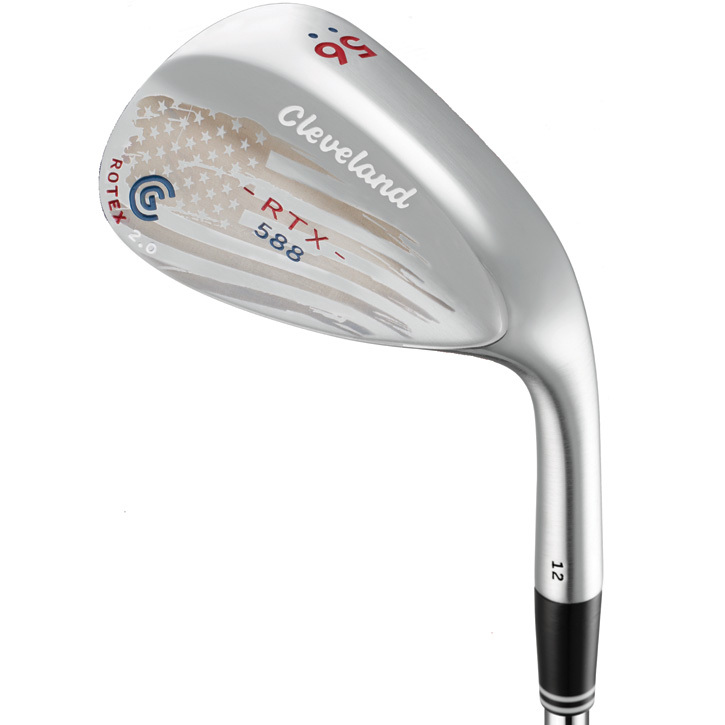 Now available with a Limited Edition Patriotic Finish, the Cleveland 588 RTX 2.0 US Open Wedge has a True Temper Dynamic Gold Wedge Shaft, and a Red/Blue Lamkin UTX grip. Only 500 Cleveland 588 RTX 2.0 US Open Wedges will be produced. Click Here to learn more.